Kanelba enrolled in the School of Fine Arts in Warsaw in 1918. After a period in Vienna where he took classes at the School of Fine Arts. He returned to Warsaw in 1923 and married Maria Wohl, the daughter of a rich Polish industrialist. Kanelba and his wife arrived in Paris in 1925. From that same year, Kanelba regularly exhibited his work at the Salon d’Automne, Salon des Indépendants, Salon des Tuileries, and Salon de l’Escalier. He often visited Pont-Aven where he painted alongside other Polish artists. After Kanelba’s work was exhibited in Bordeaux, he met the collector and art critic Marcel Bernheim at the Galerie Bernheim-Jeune. He was also introduced to Léopold Zborovski. Both dealers helped promote his work. The first important Kanelba exhibition took place at the Zborovski gallery in 1928. André Salmon wrote the catalogue’s introduction. His works were then exhibited in Berlin, Warsaw, and Paris. He returned to Poland in 1933. One year later, Kanelba, his wife, and their six-year old son left Paris for the United Kingdom, where he exhibited his work throughout the country. 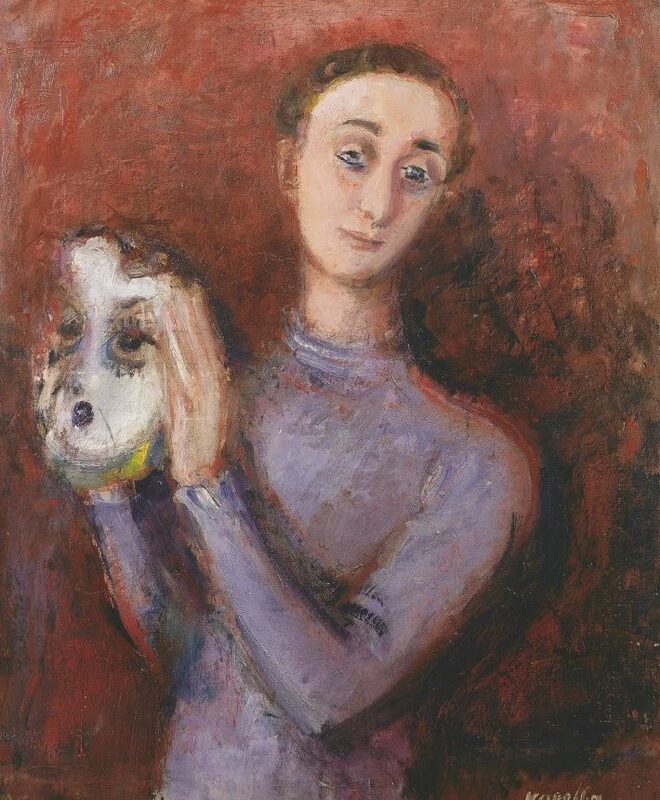 In 1937, a solo exhibition took place at the Alex Reid & Lefevre Gallery in London. From 1937 to 1951, Kanelba often traveled to the United States, where his paintings were a success. In 1951, he settled in America, and acquired American citizenship in 1957. He was commissioned to produce work for the French, Polish, and British governments. In 1955, he painted the portrait of the Queen Elizabeth II.